Are Annual Installments of Call of Duty Overkill? Modern Warfare 2 has been unleashed and has resulted in mass hysteria at retailers around the globe. Being Call of Duty, it’s only natural that such hype should be sustained by a brand name alone. But how long can Activision annually release the same series before their work reaches the predictability of other industry juggernauts such as Madden and Guitar Hero? The sales numbers have most certainly shown that the games are still in high demand. But as the years go by, is rebounding between Infinity Ward and Treyarch to deliver experiences of jarring similarity the smartest decision? Repetition has already become quite prominent between both Modern Warfare and Treyarch’s World at War. So how long will we stand by and be swindled by these dirty profiteering tactics? When Call of Duty 4: Modern Warfare was released, the gaming world was set ablaze. The next generation of consoles was finally graced by a title that nearly everyone could enjoy. Offering an unprecedented progression system rivaled by only Rainbow Six Vegas, it gave gamers a huge incentive to play it excessively. The fantastic visuals and tight gameplay didn’t hurt either. A huge new game was on the block, sporting both a universally acclaimed meta score and fantastic sales, Call of Duty 4 was the game that everyone was talking about. These were the glory days for next-gen console owners who had little to play. 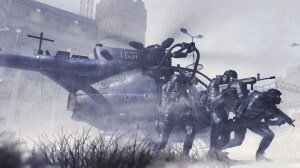 But since then, the Call of Duty name has had trouble evolving that hype into any any substantial reason to actually take the plunge into the next experience. Little has changed about the formula, and the series has tended to play it safe. While other prestigious developers like Dice are taking their sequels to the next level, it seems as though Infinity Ward and Treyarch are just fumbling their way through the development cycle to meet Activision’s release window. Not that the games aren’t polished, but so much more can be done with them. Annual release is a big factor in preventing the two developers from thinking outside of the box they’ve been in for years. A good example of this stagnation is Treyarch’s spin on Infinity Ward’s success – Call of Duty: World at War. To this day, nobody can tell me what redeeming quality World at War possessed, outside of the dreaded accident that was Nazi zombies. Of course, Treyach did a fine job with historical accuracy as far as introducing players to an entirely different side of World War II, but overall, many couldn’t help but feel that this was just a pacific Call of Duty 3 with Infinity Ward’s engine. Also, when publishers expect their developers to get started on their new game right after they finish the last, that doesn’t exactly give devs an incentive to keep supporting the current game with DLC. Without proper time to let previous iterations do the talking, players will see less of a reason to fork over the extra cash in order to get a couple maps that a publisher as big as Activision could easily make free in the first place. What point is there in buying additional content for a game you know will soon be outdated? By annually releasing the series, you’re splitting up a dedicated community across multiple games which is never a good thing. Most successful multiplayer games have always had a tight-knit community that lives by said game’s name. Socom, Halo, Team Fortress, Counter Strike, and many many more games all have this appreciated element going for them. The same cannot be said for Call of Duty, with five games being released in five years. How long will it be before that same logic is applied to Modern Warfare? Countless games have unfortunately fallen under the same stigma such as Ratchet & Clank, Madden, Guitar Hero, Rock Band, and just recently EA’s Skate IP. Consumers will eventually have a hard time differentiating a sequel apart from the predecessor, ultimately tarnishing the the value of the Call of Duty name. 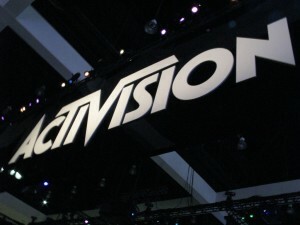 Being Activision’s biggest property , let alone one of the biggest in the industry, they cannot allow this to happen. They deliver on the experience that they’re striving for, but soon it will be considered just another milked franchise with minimal changes, no matter how drastic the evolution. Because to the everyday consumer, Madden 10 is just another Madden. And if this way of thinking is attached to Call of Duty, it will spell bad news for Activision, Infinity Ward, and Treyarch. In fact, it almost seems like Infinity Ward and Treyarch are on a constant relapsing development process where Infinity Ward builds the foundation and Treyarch stretches it with needless additions. It’s a crying shame that Treyarch cannot contribute a creative idea without coming up short in comparison to their bigger brother. But unfortunately, this is most likely the path that Activision will continue to follow, ultimately diluting everything that Infinity Ward stands for. The gaming community should continue to expect a Call of Duty game every year as long as there is demand for them. And that’s just not the way to properly treat the IP that helped get you to where you are today, Activision. If you expect your games to keep making a huge impact on the industry, then we suggest that you treat it with respect, and stop milking it for all it’s worth.